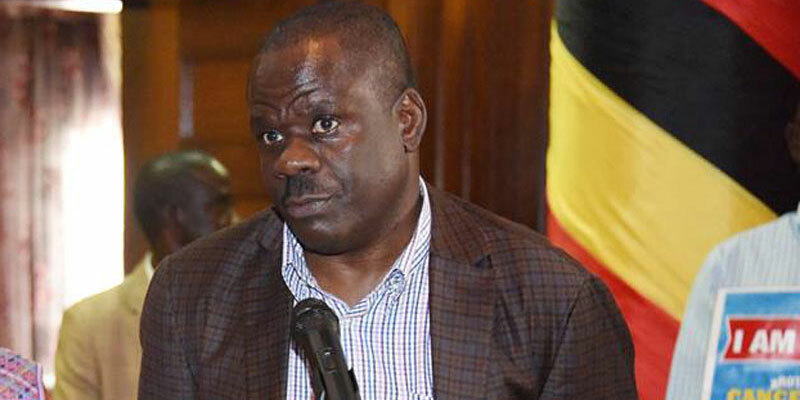 The notice by workers’ Member of Parliament (MP) Dr. Sam Lyomoki seeking leave of absence to prepare a private member’s bill to amend the consitution to end discrimination against public servants has landed him in hot soup. It has sparked angry reactions from workers’ leaders vowing to recall him from Parliament accusing him of dragging workers’ issues into what they termed murky political games for his selfish interests without consulting them. “We are going to recall him from Parliament. We cannot be used by an individual desperate to hide his own problems in whatever dark crowd that is passing,” said the Chairman General of the National Organization of Trade Union Usher Wilson Owere. Justifying his decision , Owere told The Sunrise that his decision to recall Lyomoki is also galvanized by a recent cross over of up to 15 trade unions from his organization, the Central Organization of Free Trade Unions (COFTU) to NOTU which in turn triggered the resignation of COFTU’s Chairman general Christopher Kahirita who also crossed to NOTU last week. In a letter dated 23 September 2017 to Dr Lyomoki, a copy of which this news paper saw, Kahirita penned his resignation citing a mass de-affiliation of workers unions from COFTU. “I write to inform you that my labour union, Uganda Government and Allied Workers Union has today passed a resolution that the union disaffiliates from COFTU and affiliates itself to the National Organization of Trade Unions (NOTU) with immediate effect. Consequently, I can not remain in COFTU alone,” Kahirita’s resignation letter reads in part. Peter Werikhe, the Secretary General of NOTU told The Sunrise that he has given him up to the end of this week to come and explain to workers or else they begin the process to recall him from Parliament. “We have summoned him to come and explain to us how he went into that (regarding age limit politics) without our consultation and approval and the repercussions for non compliance are clear. We are going to recall him immediately,” Werikhe stated. Joram Pajobo one of NOTU’s General Secretaries and former Member of the 9th Parliament told The Sunrise that whereas the intention to amend the parliamentary Elections law to protect jobs for public servants who undertake to stand for elective office is beneficial to workers, Lyomoki is not bringing it in good faith while its timing is also supect. “It is unfortunate that Lyomoki is using a very important cause to play is his survival games in the politics he is playing. And yet this is a good thing for all workers and that is why also tried to amend that law during our time but were at that time unsuccessful,” Pajobo said. But Lyomoki has dismissed the allegation as untrue and has vowed not to honour NOTU’s call to account. “That is what I expect to hear from NOTU and like always I don’t have their time because all they are saying is untrue but they have been given money to fight me for standing up against age limit removal,” Lyomoki said counter accusing NOTU leaders of allegedly taking bribes in exchange for their support to age limit removal.